November 11th in WP Stuff by Wordpress Jedi . GodFatherThemes: these guys are behind some of the best Thesis child themes around. For starters, you can always get a custom project set up with these guys. It won’t be cheap but the work is superb. 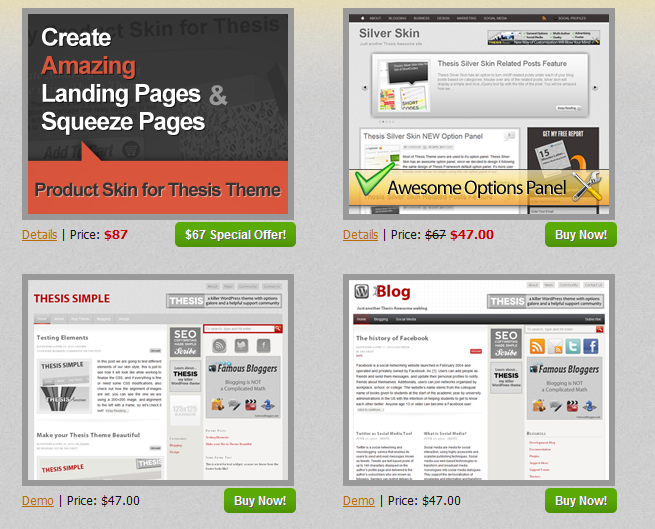 Thesis Themes is a company by GodFatherThemes that has a decent number of premium Thesis skins to choose from. 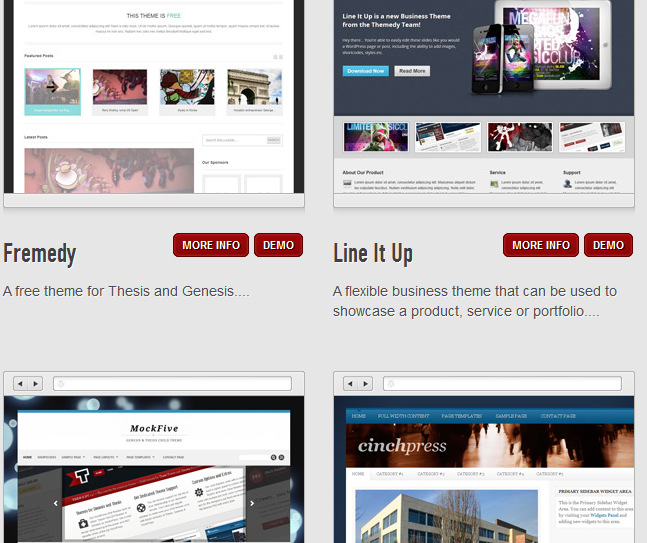 Themedy is another project by these guys that offers themes for both Thesis and Genesis frameworks for WordPress. Thesis Awesome: whether you need blogging themes for Thesis or want to set up squeeze pages using this platform, Thesis Awesome has something for you. 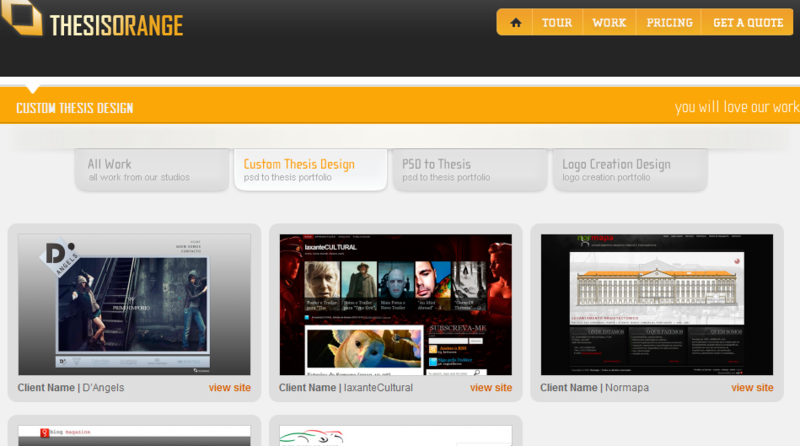 Thesis Orange: these guys are great at developing custom themes for Thesis Framework. They offer PSD to Thesis and logo creation services too. The prices are fairly reasonable (multiple plans are offered). Of course, you can always design your own skin for Thesis if you know your way around it. But if you want to outsource the process, the above Thesis skin designers can help.